This is the second recipe I’m sharing today for vegetable side dish you could serve at Thanksgiving. This one is number twenty in my Thirty for Thanksgiving project where I’m cooking thirty recipes inspired by the November issue of Food Network Magazine. You can find a similar recipe here. 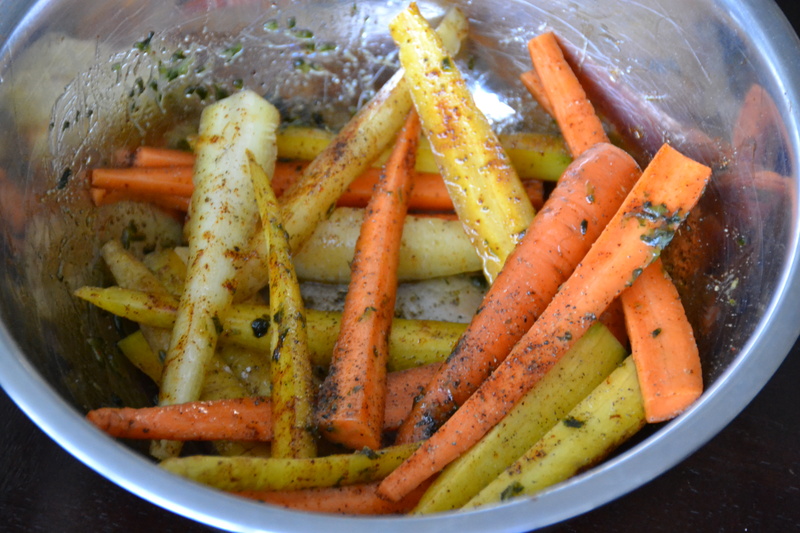 Roasting carrots makes them soft, sweet and delicious. In my opinion it beats boiling or steaming every time! 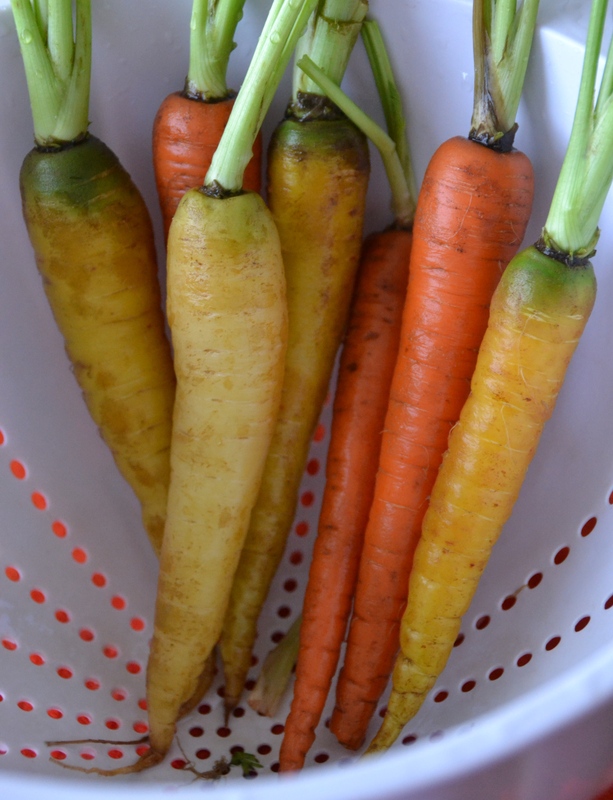 If you want to learn more about what makes a carrot a “rainbow” carrot, check out the comprehensive article from Time here. Happy Friday to you all! We’re off to Ohio later today to see family there for an early Thanksgiving. I hope you have a delicious weekend and thanks, as always, for reading Sally Cooks.